Often it happens that you order a cake that reaches on time, but somehow the whole party becomes late. It could be due to arrangements or guests late arrival, etc. Meanwhile, the cake melts and loses it freshness. 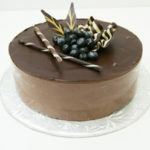 Cakes are made using the mixture of cream and chocolate slices which require low temperatures to stay stunning. 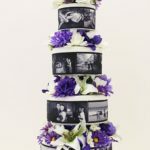 No matter, your cake is covered with fondant, frosted or filled with cream or just a sponge, you can keep it last. Here are the easy tips to keep your cake special for as long as you want. If you have ordered a fruit filling cake and now preventing it to melt and lose the fruity flavour, you can cover it with airlock container and place it in the refrigerator. This will help to keep your cake and its flavour as it is for the long time. The fondant and buttercream made cakes need to be frozen to preserve its shelf. For avoiding the icing freezing, you can keep the cake to the fridge. Here, it will cool slowly. Whipped cream and cream cheese frosting are unstable for a long time in warm weather. Keep this kind of cakes in the fridge unless you need a sad looking sponge. If you have made a ganache cake, you can rest assured as it can last in the fridge for several weeks even months only if it is made of cream. When it is your wedding cake with top tier, you need to strengthen the wrap with an aluminum foil layer and keep it in a sturdy airtight container so that it can’t deteriorate its shape. You can keep your cake longer easily by following these tips. 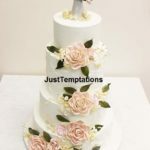 Moreover, you can consult with the Just Temptation for same day pick up a cake for any occasion, thus you will not need to take tension about preserving your cake.